Our Speech Pathologists are able to assess and provide treatment for children with varied diagnoses who may benefit from the use of augmentative communication which will provide them with or improve their communication. Our Speech Pathologists are experienced at using a variety of augmentative and alternate communication devices and methods. 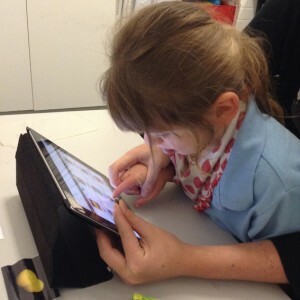 Using augmentative or alternative communication can often be an exciting time for children/adolescents and their families as it can decrease frustration resulting for difficult or no speech and improve the child/adolescent’s sense of independence and self worth, opening up pathways for self-expression, socialisation, learning and function. The use of AAC does not mean that speech will cease or stop being encouraged but rather enhances the child/adolescent’s communication and in some cases allows for speech to begin. 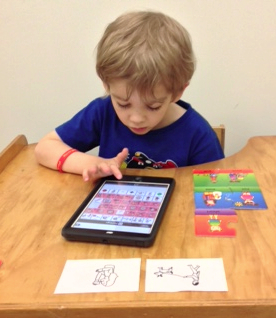 Augmentative and alternative communication includes all forms of communication (other than oral speech) that are used to express thoughts, needs, wants, and ideas. Speech pathology intervention may include the development of unaided communication systems, which include gesturing, sign language and body language, or aided communication systems which involves the use of a tool such as books, boards, devices, and iPads. Our Speech Pathologist may be able to assist you with the implementation of an AAC program within your home, community, preschool/school, and other therapy sessions. Practicing these skills intensively in other settings, assists them to develop their communication skills within a functional context. Where: Individual therapy rooms, pre-school, school and home visits may be arranged as required.